Choose from a selection of 11 holiday rentals in Ystad M. Use the search form to the left to filter the results and pick your choice of self catering accommodation in Ystad M.
We have a good selection of holiday apartments in Ystad M perfect for family, single, romantic and group holidays. You may prefer to take a look at our listed holiday villas in Ystad M or holiday apartments in Ystad M. Find your holiday homes by a specific type using the property type drop down in the filter. Filter the holiday homes in Ystad M by a specific area using the area list above. The lovely house has a beautiful garden and a stunning view of the mountains. 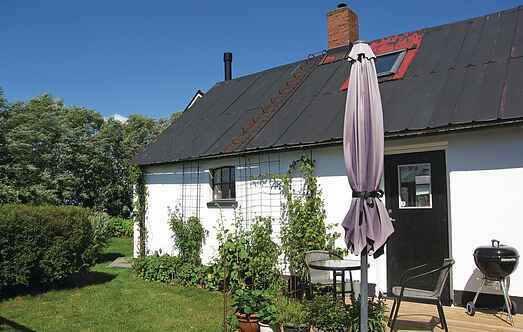 This cottage is located in a cottage settlement near the sea, the beach and in Nybostrand. It is 300 m to the sea, so you can beschließlen each day with a refreshing dip in. The recently renovated vacation house is situated on a farm and in the open countryside just north of Ystad. This house is located in Wallander country in Ystad. Nice furnished apartment on 1st. floor of the house. A large lawn outside your own entrance. Sandy beach 800 m. A lot of hiking possibilities in the area. Lovely cottage in Sandskogen in Ystad. It consists of 2 bedrooms, an annex and a glazed conservatory. Sunny south-facing garden. This cosy holiday home is just 150 metres from a gorgeous beach. Mini golf course is just 500 metres from here. Restaurants and hiking trails are available in the neighbourhood. Handsome holiday house in beautiful location in Sandskogen in Ystad, on the east coast of Skåne. You have plenty of space and comfortable here.